About 1 year ago: Stephane C.
What is the role of public art where there is no identifiable public realm? This is a common conundrum all over North Dallas, an area defined by auto-centric planning and the lack of pedestrian street life. In a situation like this, neighborhood life can become mostly a private matter with social interaction outside the home limited to the occasional HOA meeting or the local swimming pool club. Separation between what is shared and what is private is essential; elements such as walls and fences say as much about the character of the neighborhood as the houses themselves. But what about those walls that function as a barrier between the neighborhood and a public right-of-way, such as a major traffic arterial? To whom does it belong, and what are the consequences when no one claims it? This was precisely the challenge in 1976 when Mary Beth Neale, an art teacher at W.T. 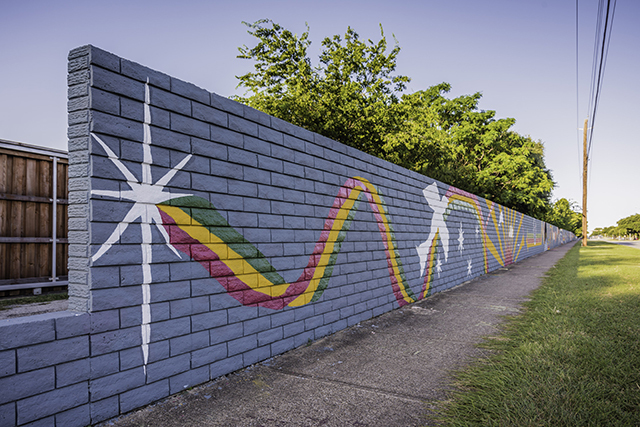 White High School, encouraged her students to paint a colorful mural over a 600-yard-long barrier wall along the north edge of Forest Lane between Midway Road and Rosser Street. 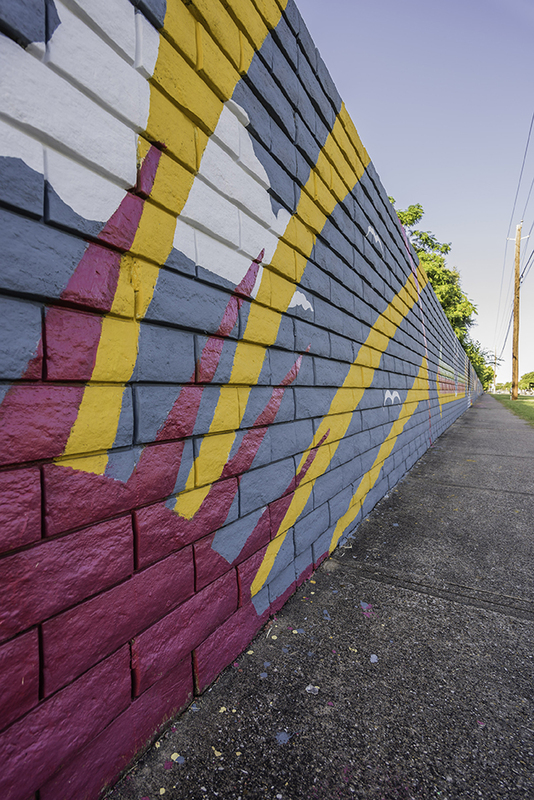 Initially built by the developer of the residential subdivision behind it, the beige wall had been tagged over time with graffiti, creating an eyesore for drivers and diminishing the area’s overall appeal. Students were encouraged to submit a variety of designs influenced by the America’s Bicentennial, psychedelic album covers and other imagery popular among the youth at that time. The designs were then woven together into a lengthy, but unified, artistic composition. 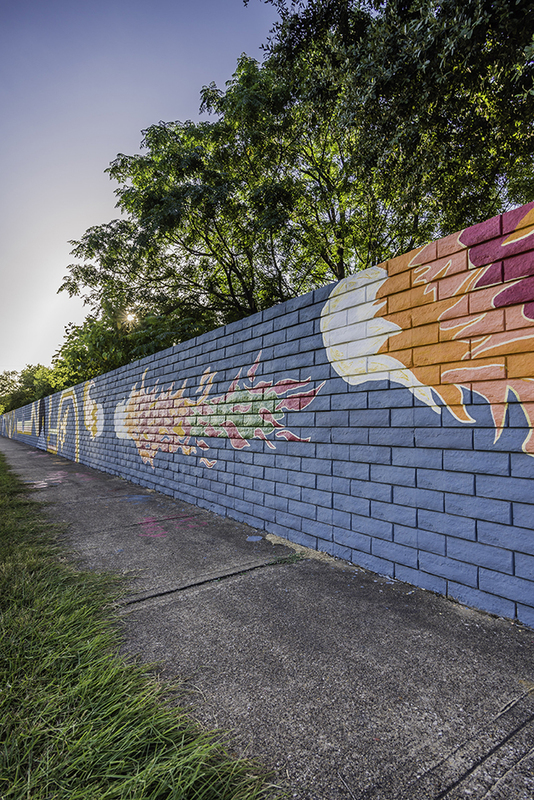 More than merely suppressing graffiti for almost 40 years, the wall at Forest Lane succeeded as a beloved landmark in the neighborhood. Volunteers, including many who were alumni from W.T. 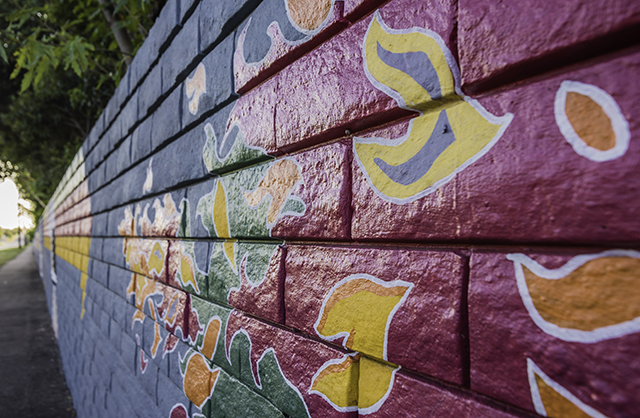 White, are known to help refresh the mural by picking up a paintbrush on a weekend. 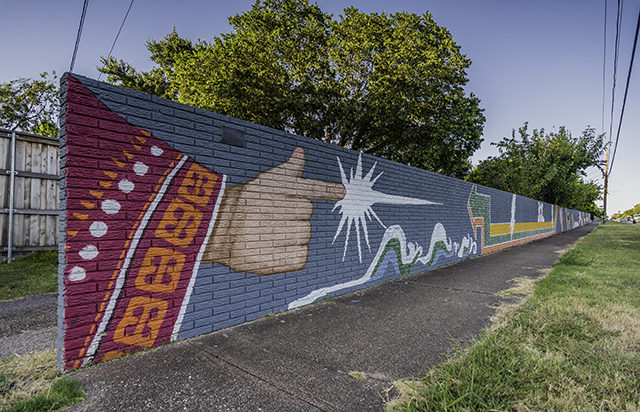 Recently, part of the wall was damaged by an out-of-control vehicle that plowed into one section of it, but the volunteers stepped up again to find a way to repair and repaint the marred section. 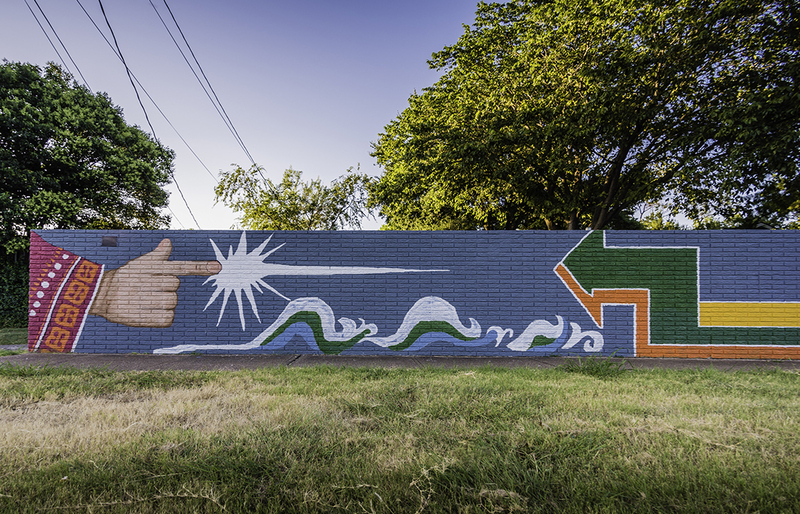 It is because of the mural’s inclusive and participatory process—not necessarily its actual artistic quality—that this example of suburban public art has endured longer than anyone had envisioned. It allows people to connect with each other as well as to a special place and time. 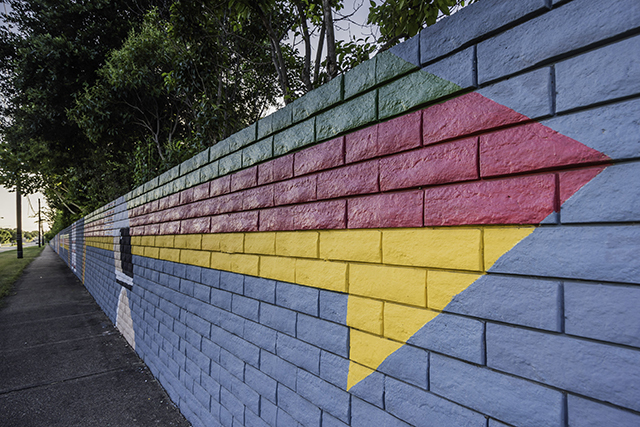 Visit the Facebook group page—“Helping to Paint the Wall on Forest Lane”—to find out more. 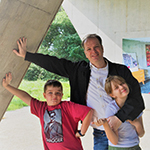 Julien Meyrat, AIA is a senior designer at Gensler. Photography by Michael Cagle, Assoc. AIA.